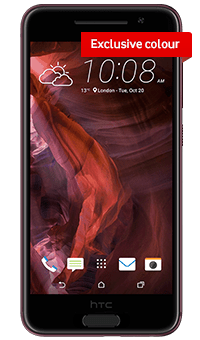 A bit late to the party perhaps, but we recently came across this exclusive offering from Vodafone UK, and thought we’d give you all a heads-up too. So, what is the exclusive deal? 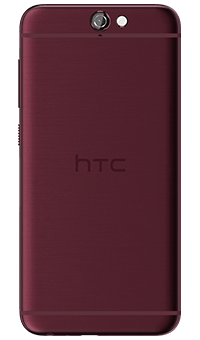 The A9, which is definitely one of the more beautiful Android offerings on the market, comes in a beautiful shade of deep garnet. Rest of the specs are exactly the same as what is on offer elsewhere. The phone (despite being controversially looking like a very popular phone brand that will never ever run Android) is a very good looking phone. Smooth, beautiful, curved, it has it all. To be honest, the first thing one thinks when one does look at this is how beautiful it is, and interestingly, how well it fits in your pocket. In fact, this phone made me seriously realise how important having a smaller screen is. For once I was able to carry a phone around in my trouser pockets, rather than having to squeeze it in a jacket, or put it in my back pack. The remarkable looks aside, the front features the screen, and more importantly, the front ‘fingerprint’ sensor. Once again, taking a page out of THAT book, but going for a rounded rectangle HOME button instead of a round one. Very easy to tell the difference. A couple of buttons on the side give you volume and power, while the other side houses SD Card and SIM slots. The back is similar once again in terms of looks. It features the camera and flash on the top, an HTC logo in the middle, and antenna lines to give it a nice frame. 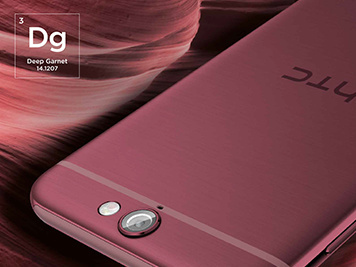 Unlike most other Android, HTC have opted to put the fingerprint sensor on the front. While it doesn’t seem as odd, it is interesting that no other Android company has gone with this, sticking to the back. However, front fingerprint does have its advantages, such as being able to unlock your phone on a desk without lifting it up. The Fingerprint sensor worked reasonably well, and while the shape is a bit odd, being a tad thin in the middle, it still picked up fingers and didn’t give me much errors. Personally I would have preferred the fingerprint sensor to be a bit bigger, even if it meant a bigger phone or a smaller screen size. HTC phones have been heavily skinned since the days of Windows. HTC took those skins and brought them to Android, and in many ways, the heavily skinned UI on top of Android was what killed the last HTC experience. This time, HTC have gone a lot simpler. The UI is still there, but it doesn’t shout out loud, rather sits on the side. A bit like Google Now does on Google launcher. There, but not intrusive. It does mean that you get a slightly different experience from Vanilla Android. For example, at lunch time, the lock screen turns into an advert for a nearby eatery. Since I work in an area with nothing within walking distance, and pretty rubbish food, this did not help me much. But overall the options were good, if I was willing to drive. Performance is okay, more like a mid-range device that this is. It runs most things perfectly, and looks good doing them, but doesn’t really wow you. Same goes with camera. Another thing that HTC had very good, they went a bit funny, and now it is all over the place. It works, it is good, but nothing special worth writing home about. The phone is available at an upfront cost of only £9 on deals starting from £31 per month. It costs just over £200 on PAYG. For a phone that sits well within the mid-range budget, this offers the looks, the fingerprint sensor, and the looks again. It is beautiful, but it almost works as a bad thing, for the specs or the performance don’t match. 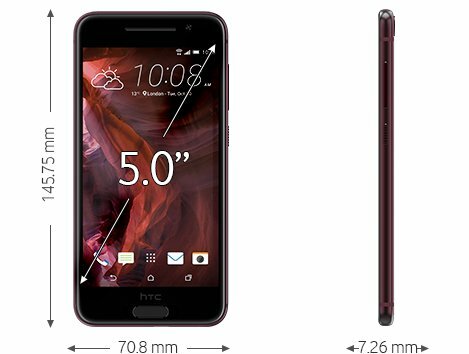 HTC has been trying hard to get things right. They need to keep trying.